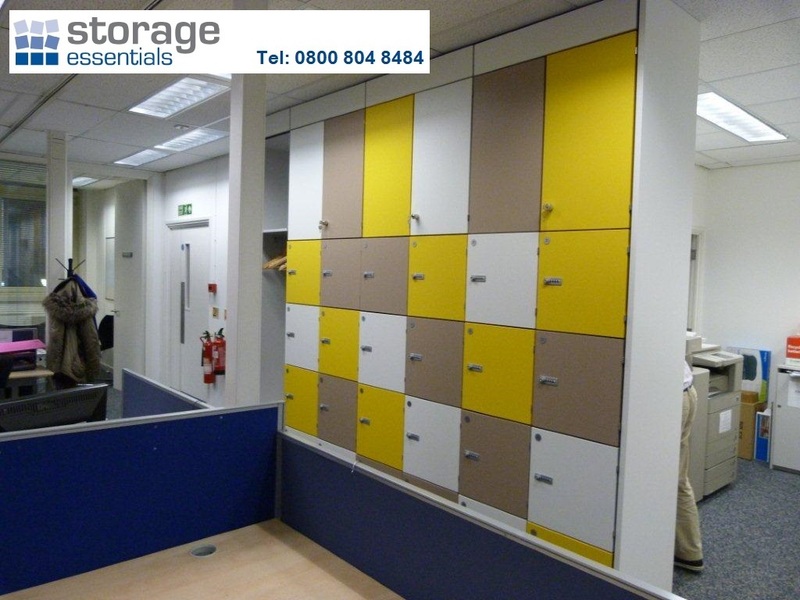 Storage Essentials offers a diverse range of hot desk storage products to meet the increasing demands of this type of working environment. 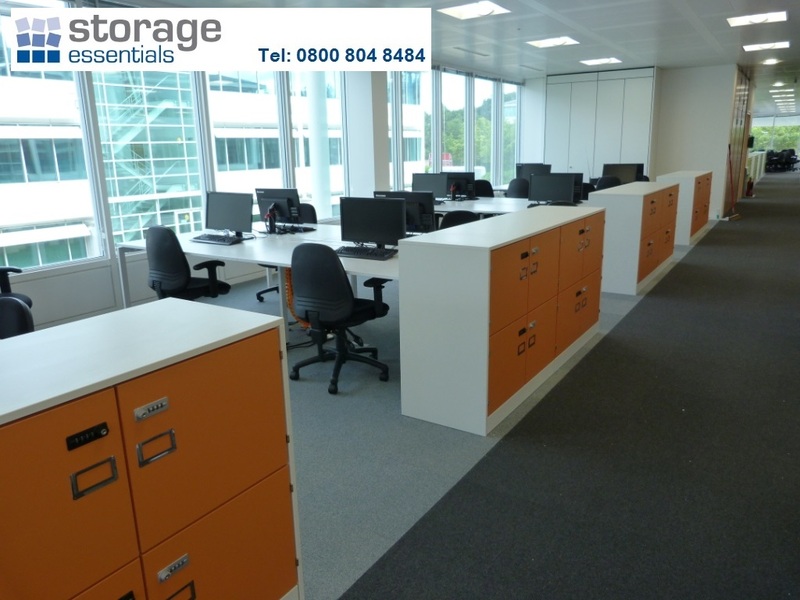 Hot Desking is an office based storage system that allows multiple workers to use a single physical work surface or office desk. 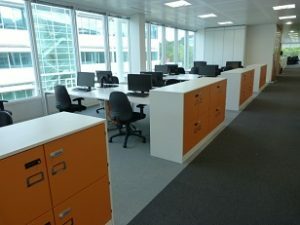 Allowing each employee or worker to use the same desk at different time periods throughout the day or night. 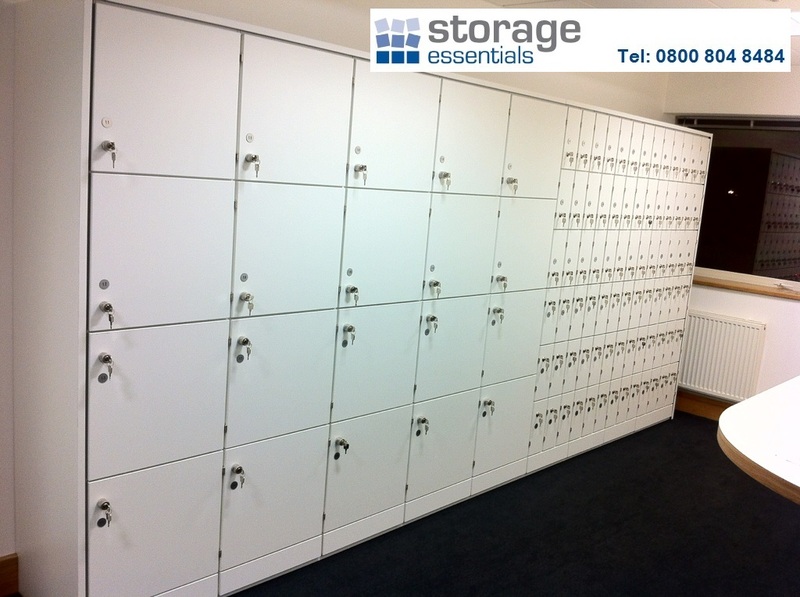 They each have their own lockable cupboard to put their personal belongings in. 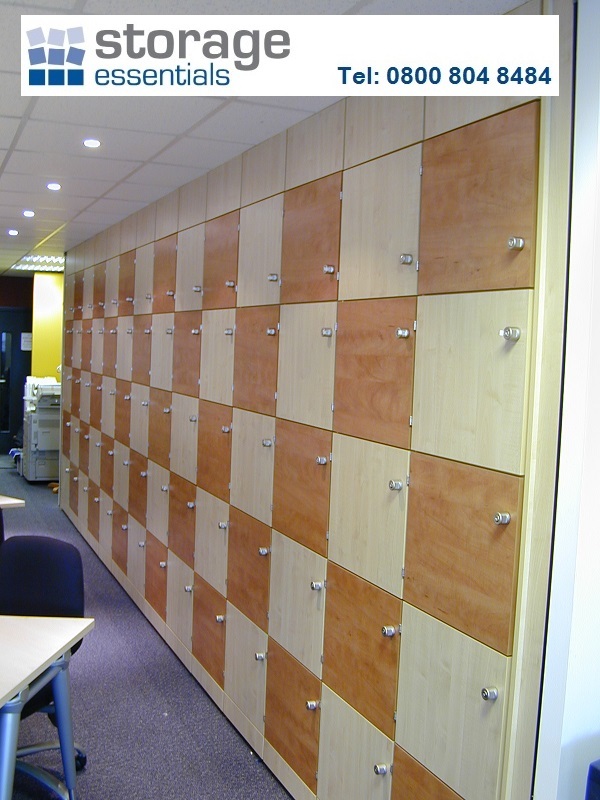 This system is not only popular for those needing occasional access. 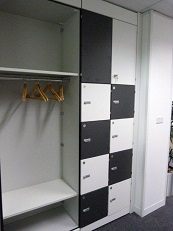 It is also useful in work places with shift patterns as one worker arrives whilst another leaves. 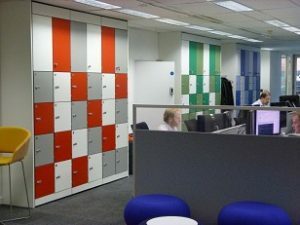 By sharing a desk, significant savings can be made through more efficient use of the office space and resources available. 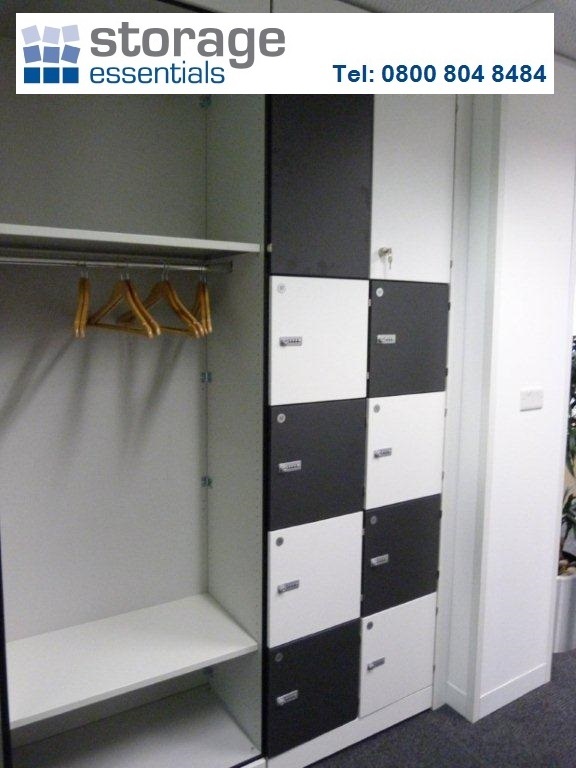 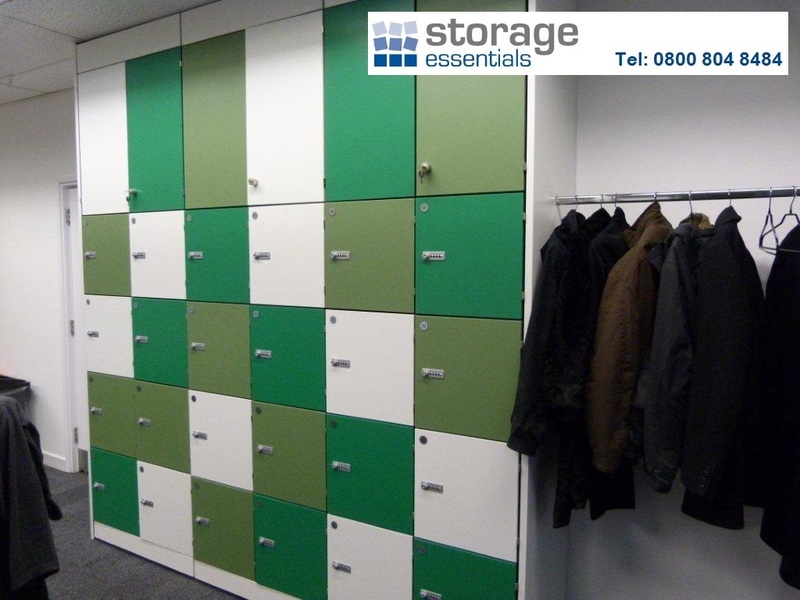 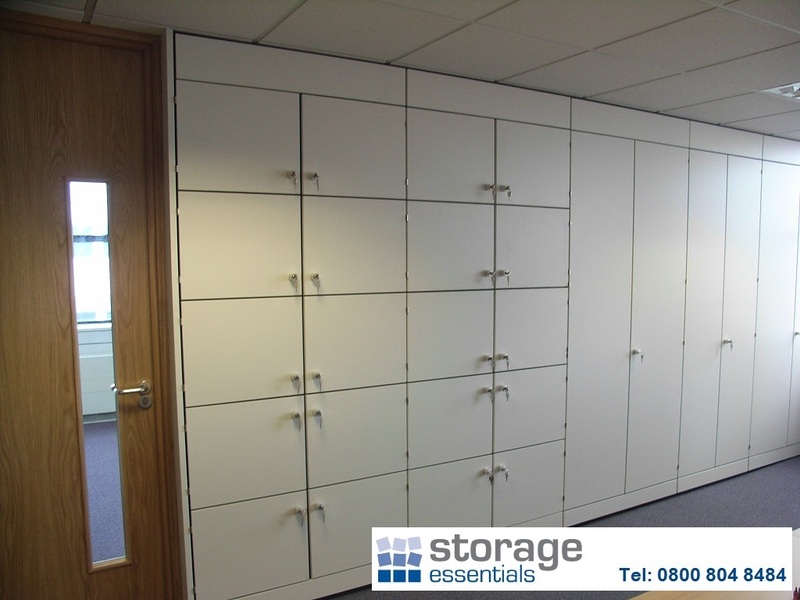 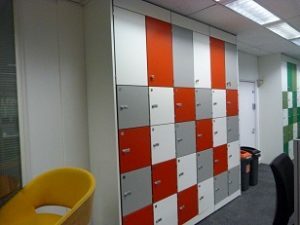 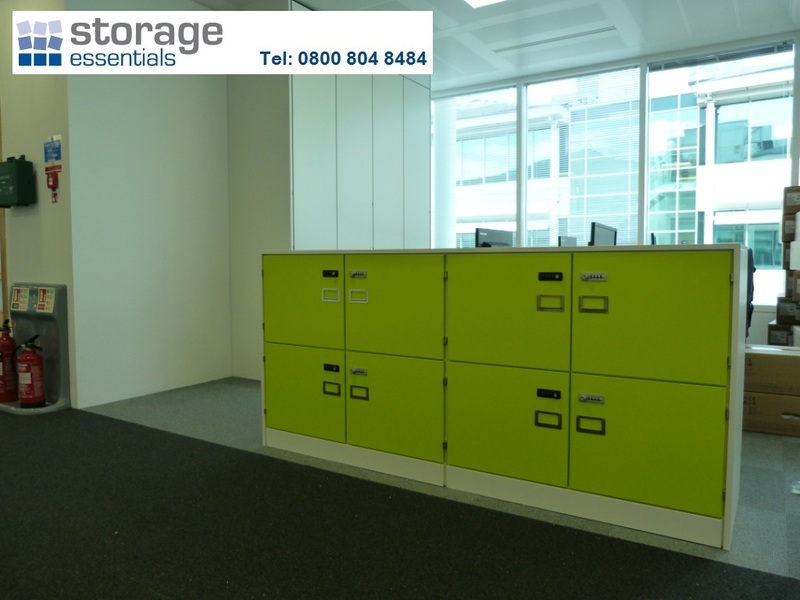 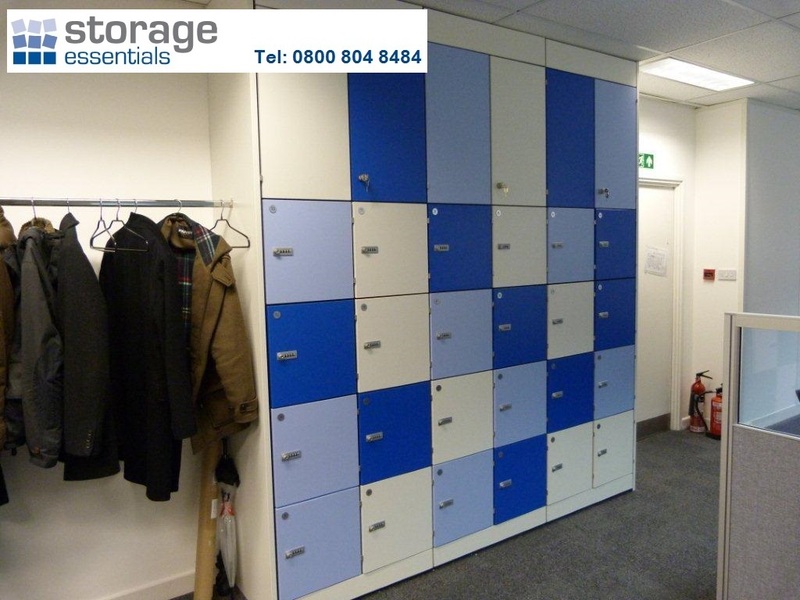 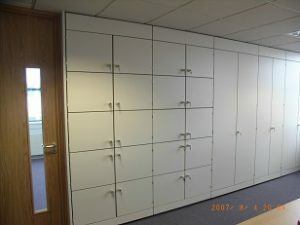 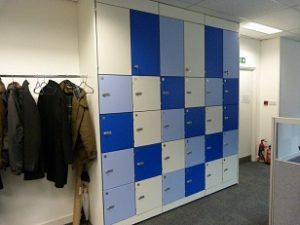 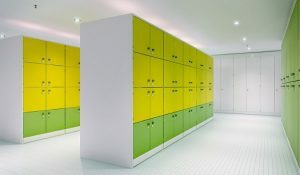 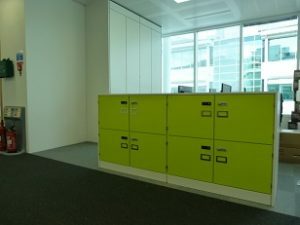 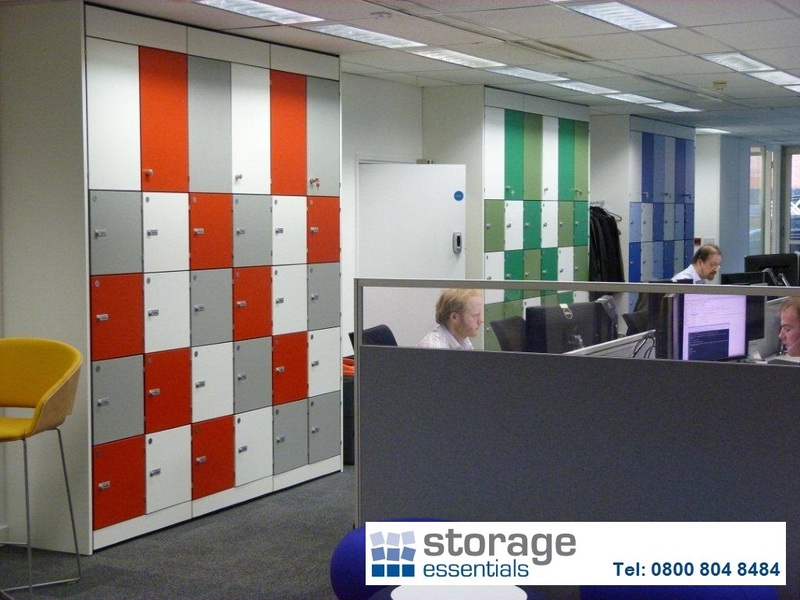 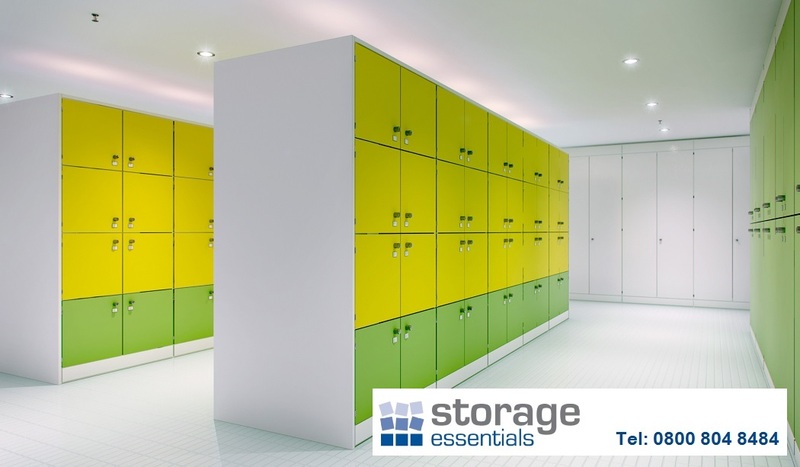 Hot Desking storage walls allows each individual user to keep their items safely locked away until they are next needed. 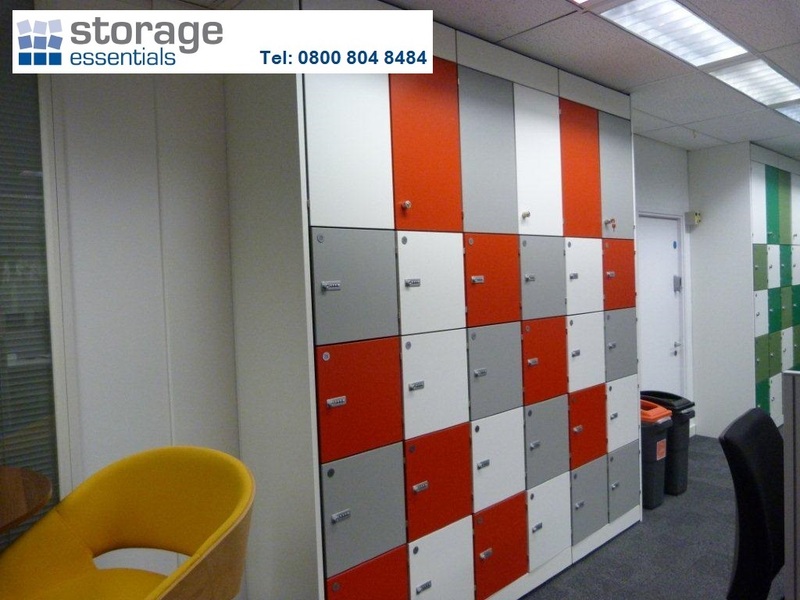 They can be built to meet your requirements and available floor and wall space. 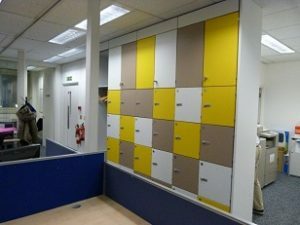 They are available and in a variety of colours and finishes to complement your working environment. 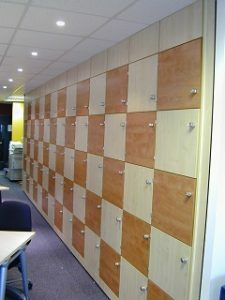 This includes wooden or steel build with key or combination locking. We can also add a secure post box for those using it as a virtual business address.